NEW BOTTLE AND SIZE! 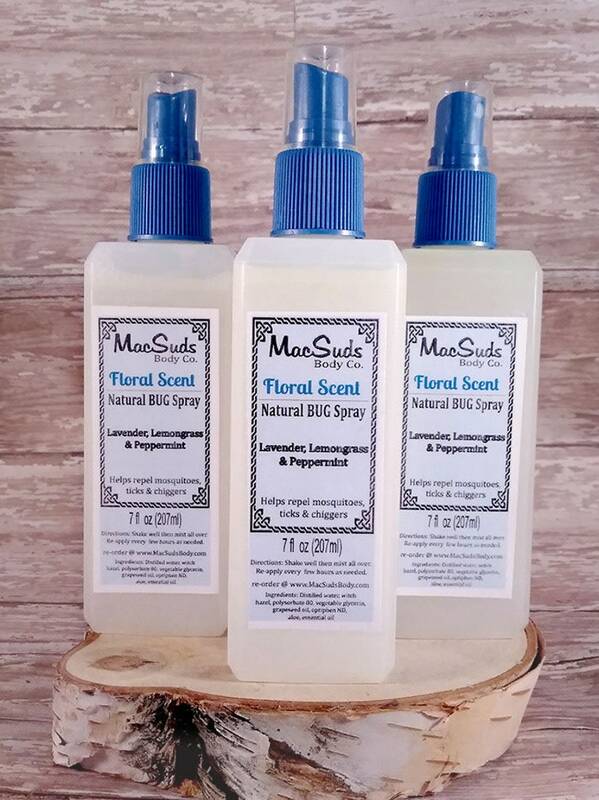 Now this Floral Natural Bug Spray comes in a larger 7oz bottle at the same great price! Scented with Lavender, Lemongrass & Peppermint essential oil. I only use essential oils in my bug spray. Keeps those nasty bugs away the natural way. This is a great way to live bug free, without the use of DEET or other harsh chemicals. Just keep it by the front or back door (whichever you use more), and give yourself and family a quick spritz before going out doors. It has a lovely floral scent. Works great! Nice lemony scent.